With the progress of science and technology, in recent years, the Internet in China has achieved rapid development, with an irresistible momentum quickly throughout the motherland, because of the convenience of the Internet, China's financial in the Internet region has a new development. However, there is no accurate and unified definition of Internet finance in China. In 2012, the concept of Internet finance first appeared in China. Insiders now believe that Internet finance is a new financing mode completely different from commercial Banks and capital markets. No matter what the definition of Internet finance is, its essential attribute is still finance. Factors affecting the effect of financial transactions, such as transaction cost's influence on financial, information asymmetry's impact on the financial, the influence of the risk to the financial, regulatory effect on the financial, etc., the emergence of the Internet financial will not eradicate these factors, but because of the influence of the Internet features some, make these factors become more complex and diverse. Therefore, while making use of the convenience of Internet finance, we must pay attention to the problems that are easy to occur in Internet finance, timely analyze and deal with the problems in Internet finance, put forward targeted measures, strengthen supervision and management of Internet finance, and reduce the probability of financial risks. The so-called information asymmetry refers to the phenomenon that people have different understanding of the actual situation of some financial activities due to their different ability to obtain information in financial activities. People who have more and more comprehensive knowledge of information will naturally gain greater advantages in financial activities and be able to judge the risks and profits in future financial activities more accurately. According to theoretical analysis, information asymmetry mainly includes two kinds of situations: one is prior adverse selection; Moral hazard afterwards. Information asymmetry is a common phenomenon in the financial market. Due to the information asymmetry, unfair and unfair phenomena appear in the financial market. At the same time, it inevitably reduces the transaction efficiency of integration and increases financial risks. In the financial market, information asymmetry is a ubiquitous and impossible phenomenon to eliminate. Information asymmetry is very unfavorable to the development of small and medium-sized enterprises. For example, due to information asymmetry, small and medium-sized enterprises are generally faced with the problem of financing difficulty. For small and medium-sized enterprises, the scale of enterprise operation is often relatively small, and the company's operating conditions are greatly affected by internal and external factors. Information asymmetry has a great impact on both financial institutions and small and medium-sized enterprises, which is the adverse selection we mentioned above. Adverse selection mainly faces two problems. First, small and medium-sized enterprises often need a lot of capital to support their development. Financial institutions have different interest rates for projects with different risks, while for projects with uncertain prospects or little effective information, the interest rate of borrowing can only be determined according to experience or average profit rate. At this time, when the risk faced by the enterprise is low, the analysis will show that the interest rate borrowed by financial institutions is higher than the interest rate of project operation or cannot reach the profit expected by the enterprise, so the enterprise will choose to abandon the project. For projects with high risks, enterprises often choose to pay. Once the loan is completed, financial institutions will bear high risks. The problem of adverse selection and information asymmetry in financial market is mainly caused by information asymmetry. And Internet finance also arises at the historic moment at this time. Internet finance mainly plays the role of guarantor between enterprises and financial institutions and plays a certain role in promoting the financial market with asymmetric information. Therefore, in recent years, Internet finance represented by alipay has developed rapidly in China. Theoretically speaking, Internet finance is a new financing method with the convenience of Internet information exchange and transaction. From this perspective, it should be able to effectively solve the problem of information asymmetry. However, in actual operation, it is not difficult to find that Internet finance cannot solve the problem of information asymmetry in the financial market. There are two main reasons why Internet finance cannot solve the problem of information asymmetry. First, as the name suggests, the main way of transaction in Internet finance is online transaction. Therefore, in terms of the identity confirmation of both parties and the transaction reputation of the other party, information asymmetry inevitably exists. Second, the Internet platform is only as an information sharing platform, the authenticity of information to taichung, the Internet is not responsible for it, so in the Internet trade information may exist between the two sides in the financial fraud, do not use the Internet to make the authenticity of information, in this case, rather than to reduce the asymmetry of information, but because of the Internet platform, exacerbated by the information asymmetry. In addition to the lack of authenticity of information in Internet finance, there are also serious moral hazards in Internet finance. The counterparty of the transaction deliberately conceals the real information of the company, increasing the investment cost of the other party or failing to meet the requirements of the other party. This information asymmetry seriously aggravates the risks of Internet finance. In addition to the problems mentioned above, the information asymmetry of Internet finance is not open to other platforms due to competition and other factors among various Internet financial platforms. Therefore, it is impossible to know the real business situation of the other party when conducting transactions on Internet financial platforms. And, as a new way of information exchange, the Internet has got rapid development in most areas around the world, every day very large amount of information, the information has the characteristics of timeliness, who was able to find in Internet financial for their strong or adverse conditions, who can get initiative in the deal, this has access to information, and further exacerbated the information asymmetry of both parties. To sum up, though Internet financial can effectively reduce the information asymmetry, in theory but in practice, on the one hand can reduce the information asymmetry, indeed for trading reduced risk, but from the other side, due to the characteristics of the Internet itself, even further aggravate the information asymmetry, bring more risk to the financial markets, so how to make use of its advantageous one side to reduce financial risks, make us question worthy of studying. If Internet finance wants to achieve better development, it must first solve the problem of information asymmetry brought by itself. The key to solve the problem of information symmetry is to enable both sides of the transaction to fully and fairly acquire the needed information in time. Internet finance, as a new way of transaction, does not belong to banking finance. Therefore, our government departments should formulate a strict financial supervision system. The qualification of Internet financial enterprises shall be examined, and a certain amount of deposit shall be paid according to the size of the enterprise. Enterprises that fail to pass the qualification examination shall be banned. Only by solving the problem of information asymmetry in Internet finance can the adverse selection and moral hazard of both parties in the transaction be reduced. We need to establish a sound business information sharing platform, so that both parties can timely through the information sharing platform, to understand the basic information of both parties. Therefore, government departments should first formulate rules for information sharing so that both parties of the transaction can fairly obtain the other party's information. In addition, for different trading subjects, government departments should set the access rights of information access. Warning or punishment shall be given to enterprises that intentionally conceal their own information in Internet finance, enterprises that intentionally resort to fraud, or enterprises that illegally seek personal gains and harm the interests of the state and society. With the development of the Internet, people use the Internet to communicate more and more, bringing convenience to people at the same time, there are also many problems. Internet finance, as a part of the Internet, also has some problems. The Internet is not lawless. 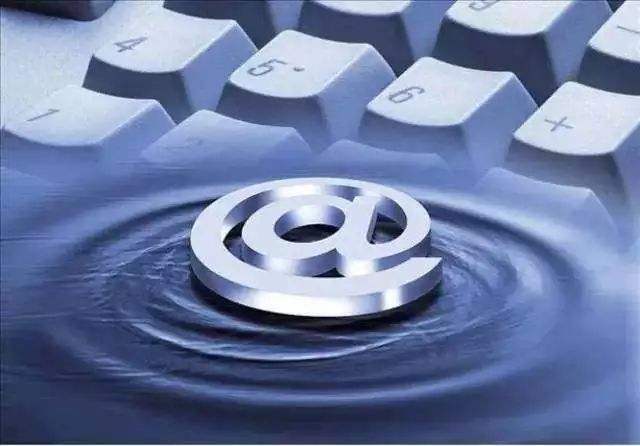 China should make perfect Internet financial transaction rules as soon as possible to reduce adverse selection risk and moral risk caused by information asymmetry. At the same time, relevant departments should be set up to supervise each link of Internet financial transactions and formulate strict punishment measures for violators. Internet is a new type of financial situation at present. Although it is the same with traditional finance, there are still many problems, such as adverse selection and moral hazard in traditional financial situation due to information asymmetry. We should pay enough attention to these problems, but we should not abandon Internet finance because of the different phenomena and a few problems in Internet finance. The rise of the Internet financial has been unstoppable, but also for our financial transactions has brought a lot of convenient, for China's economic development has irreplaceable role, so we need in the state, society and individual efforts, on the basis of better solve the problem of Internet finance, promote the development of the Internet financial more rapid and healthy.